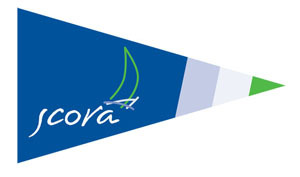 A reminder to all that the SCORA AGM will take place at the Royal Cork Yacht Club on Friday, January 23rd at 8 pm. Amongst the many topics for discussion will be the ‘new look’ SCORA calendar for 2015. This will include the popular eleven race league and a new Classes 3, 4 and WS two day championship event to be sailed under the burgee of Cove Sailing Club. This will be an “all in” Cork Harbour race to be sailed on July 11th with competitors from the south coast clubs competing. The visiting boats will be able to avail of the facilities of Cove Sailing Club’s new marina at Whitepoint. Also for discussion at the AGM will be the perennial subject of handicaps and a proposal to allow the optional use of spinnaker poles by the WS fleet in all clubs. As usual an evening of lively discussion and meetings of old friends should ensue and light refreshments will be provided. The prizes this year will once again be a selection of photographic images from the camera of Robert Bateman featuring the sailing season of 2014..